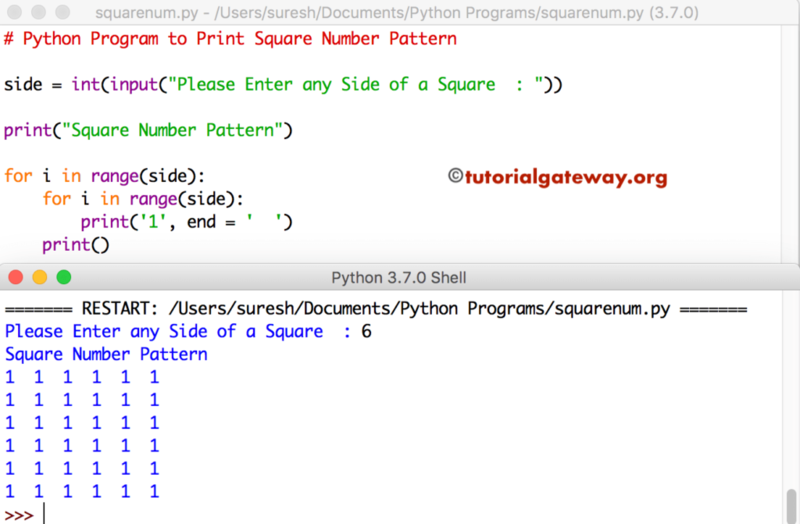 In this article, we will show you, How to write a Python Program to Print Square Number Pattern using While Loop, and For Loop with example. This Python program allows user to enter any side of a square. This side decides number of rows, and columns of a square. Next, this program use For Loop to print 1’s until it reaches to the user specified rows, and columns. This program will ask user to enter any number. Next, it will print that number in square pattern.